Have you ever worked in or are you presently working in an old school that had/has asbestos in the building materials? Should this be of concern to an educator or anybody working in or attending a school? Asbestos-containing construction materials were prevalent in schools from the 1940s until the 1970s. Congress passed the Asbestos Hazard Emergency Response Act (AHERA) in 1986 to protect schoolchildren and school employees from exposure to asbestos in school buildings. 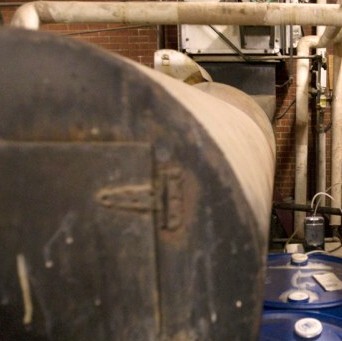 Is Your School Hazardous to Your Health? Asbestos materials can become hazardous when fibers are released if damaged or deteriorated over time. If the fibers are inhaled, they can lead to health problems. 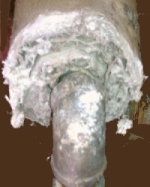 After inhalation of asbestos fibers, it may be twenty years or longer before symptoms appear. According to the EPA, asbestos that is managed properly and maintained in good condition appears to pose relatively little risk to students and school employees. The AHERA school rule rarely requires the removal of asbestos materials. All school removal projects must be designed, supervised, and conducted by accredited professionals and should be performed in accordance with state-of-the-art procedures. Your house may contain asbestos: floor tile, heating systems, ceiling tile, drywall joint compound, exterior siding, roof/attic and other areas. Is asbestos just used in school or commercial construction? When asbestos is present in a material or product, it cannot be detected by a visual examination and must be tested in a laboratory. Even trained inspectors have suspected asbestos tested to confirm. Notice: This is not a legal or medical advice site. It is an article about asbestos and related problems in the schools. Some materials "look like" asbestos. A lab test will confirm if it is or is not. Asbestosis, lung cancer, and mesothelioma have been linked to asbestos exposure. AHERA requires schools to develop a management plan for asbestos-containing materials, specifying safeguards to prevent the release of asbestos fibers. The law also requires schools to (update the plan) survey asbestos-containing materials, conduct surveillance every six months, conduct inspections of these materials every three years, and train personnel on AHERA compliance. Parents, educators, and other school employees, or their representatives, have the right to inspect the school’s asbestos management plan. Records of annual notifications to parents, teachers, and staff concerning the availability of the school’s asbestos management plan must be included within the asbestos management plan files. Asbestos has been classified as a known human carcinogen by the U.S. Department of Health and Human Services, the EPA, and the International Agency for Research on Cancer. Studies have shown that exposure to asbestos may increase the risk of lung cancer and mesothelioma. Students and school employees spend about one third of their day in school buildings, and their health and safety should be paramount. Researchers still have not determined a "safe level" of exposure, but usually the greater and the longer the exposure, the greater the risk of developing an asbestos-related disease. 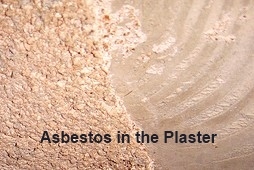 Contact the EPA for more information about the AHERA asbestos-in-schools requirements. 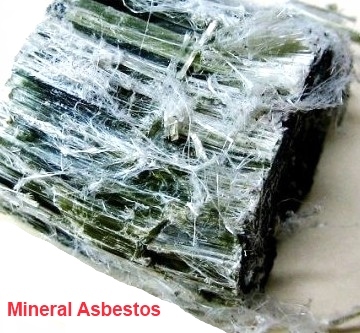 Asbestos is a mineral fiber that has been used in a variety of building construction materials for insulation and as a fire-retardant, e.g., pipe insulation. Also, the thin fibers can be spun and woven together to make gloves, for example, to handle hot materials. 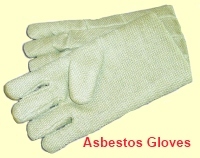 Asbestos is still used in some products, but is no longer used in others. In its natural state, asbestos is commonly a white, brown, or blue fibrous mineral. The EPA (1989) announced an asbestos ban and phase out, but in 1991, a U.S. Circuit Court of Appeals overturned the ban. However, there is a regulation in place to reduce exposure.